Stop the Presses: Bar Soap is In? What do these pretty much all of these liquid wash products contain? Terrible, “Frankenstein” ingredients just like many store bought cosmetics. These body washes are supposed to last three years on store shelves – what possible natural ingredient could survive that long without a ton of preservatives? Manufacturers use a process to cure the soaps faster than can be done naturally to save money on storage – this means the soap won’t absorb all those good ingredients as efficiently. Carley’s soap bars use a secret process of extending curing time so the bars are extra full of goodness. 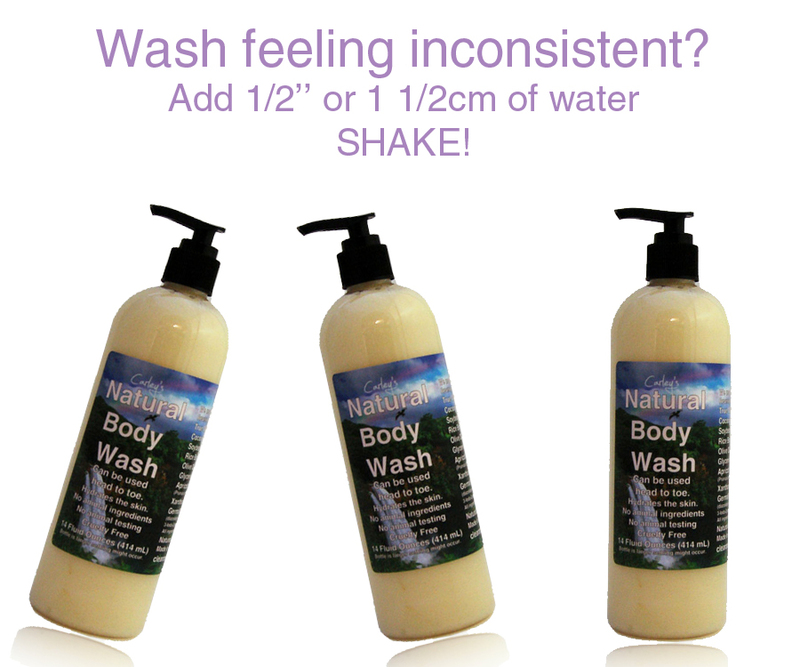 By and large, it is a challenge for natural soap makers (think home made) to create a liquid wash. The wash separates easily with oil resting at the bottom and the rest of the good stuff to the top. You’ve found this out if you purchased Carley’s bodywash. The wash needs a good pump or two before use so you’re getting the complete benefits of the product. After about a thousand batches (really) we’ve found the right mix of natural ingredients that don’t separate but still – we won’t hold it against anyone if they make a product that separates. What’s funner than shaking a bottle before use like – like Yoo Hoo? 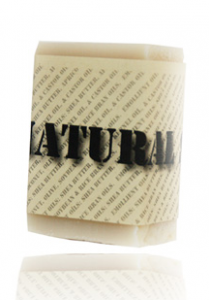 We’ve been making bar soaps for over a decade. The bar is functional, sleek and most importantly – the most natural way to make a cleaning product. There’s no focus group needed for us to make what you love! The Healthier Alternative to Shampoo: A Body Wash? 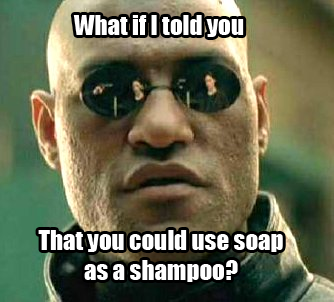 What if I told you that you could use Carley’s Body Wash as a shampoo for your hair? You’d tell me I was crazy. Shampoo is for hair and body wash is for the body, right? Not so fast. With news reports about the damage that shampoo can actually do to your hair, we recommend to go right back to the basics. A body wash or soap works fine (and probably even better) than a shampoo ever could. The benefits of using a shampoo go right down to the aesthetics – look, feel, smell, touch (please don’t taste it). The problem comes when you get past these aesthetics. The oily hair that people go to lengths rid themselves are doing far more damage than they could with oily hair. Hair is supposed to be naturally oily. 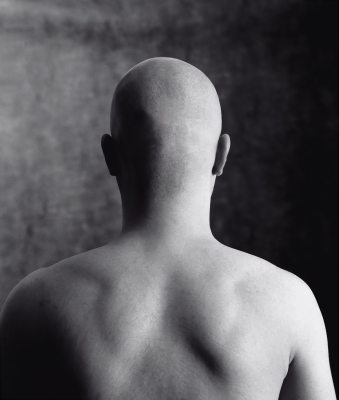 What shampoo products usually do is strip the hair follicles of natural skin oils. This may make the hair more flowing at a major cost to the skin’s health. Just like any skin care product you find on store shelves, you’ll find shampoos usually contain incredibly harsh ingredients. The products are pumped full of “Frankenstein” ingredients that aim to make the products last longer. These preservatives can have devastating effects for the skin. What you’ll also find is an ingredient that we do everything we can to recommend customers avoid – SLS. Sulfur is commonly found in toothpaste and skin care ingredients. Many believe that this is the ingredient that causes acne on the chin with left over toothpaste. While it may sound juvenile recommending how to use a product in the hair, you’ll find many get it wrong. Pour a good amount of Carley’s Body Wash in your hand and rub in the hair. The Natural Soap can also work just as well but just needs a little more effort to lather. Rub the wash in the hair for a good 10-20 seconds. If you have a dry or itchy scalp, massage the wash in your hair longer and leave in the hair for several minutes while avoiding washing it out. Once the hair is fully lathered, use your hands to distribute the lather to all parts of your body to wash. This is actually a much more efficient way to use the wash for the longest amount of time for the whole body and lets the wash set in the hair longer. Depending on the environment and the person, you may experience a dry or itchy scalp without dandruff products like Head and Shoulders. Due to the lack of absorption blocking Dimethicone and presence of many natural oils and moisturizers, the body wash may actually moisturize the scalp better. Try going without a dandruff product or minimizing the use of the products to once a week while you work in the body wash. Just like any shampoo, dandruff products contain harsh ingredients as well that may set your healthy skin and hair goals back.